What will you do with $185,000?? 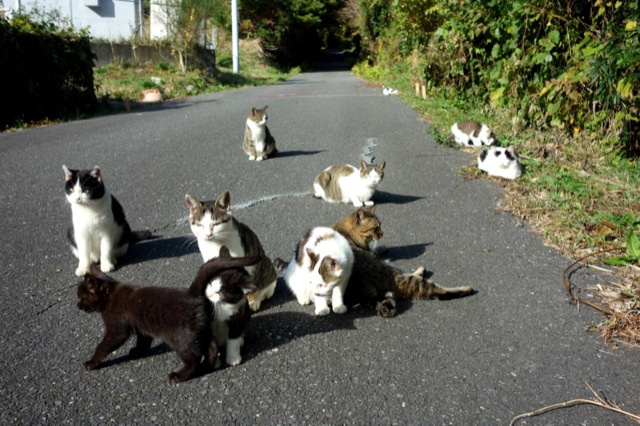 Japanese man stole $185,000 to buy luxury food for 120 cats! A Japanese man stole $185,000 to feed 120 cats gourmet food. Mamoru Demizu, aged 48, is suspected by the police to have broken into houses 32 times. He stole cash and jewels, telling to the police that he had to become a burglar in order to obtain the money he needed to feed his cats a gourmet diet. The man spent on the cats’ luxury food up to Y25,000 ($250) a day, according to an officer. “He said he felt happiest when he rubbed his cheek against cats,” the officer said. “He would give them fresh fish and chicken, not cheap canned food,” he added according to the international press. According to police, Demizu made his rounds in a car between midnight and 4 a.m., distributing the fish, chicken and other tasty items to the cats. Demizu started keeping his own cats in 1993, and in 2010 started giving his leftover food to strays in the area. Starting with 2011, he became unemployed, but carried on feeding the cats with money he obtained from a woman that he was living with at the time, the media says. Demizu, who is not employed, kept one animal at his home in Izumi city, western Japan, and about 20 in a nearby warehouse. At the same time, he kept feeding 100 more stray cats that lived in the neighborhood, the police said. Could Cool Blue Lights Help to Calm the Suicidal?